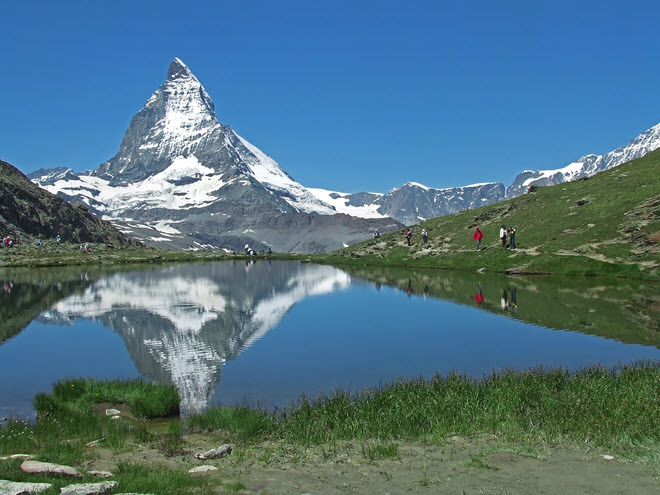 Switzerland is a progressive country, boasting a strong tourism industry in the alpine skiing regions and temperate destinations in the southern part of the country. Hungry visitors embrace Swiss epicurean offerings that bear allegiance to their strong European influences. Switzerland is small but comprised of cantonments, or provinces, each with a particular ethnic and cultural flavor: Italian, French, or German. Swiss national cuisine can be charted from the same blueprint. For example, hit the southern Swiss Alps in the Ticino canton, where the country borders Italy, and you'll discover native flavors and dishes indicative of Northern Italian cuisine. Other regions imitate the national cuisine of neighboring countries like Germany and France. The country's agricultural tradition defines Switzerland's simple gastronomic equation, which is based on staple crops and utilizing the regional bounty of the land. National dishes like fondue, a French cheese-sauce inspired combination of simple ingredients, and Rosti, an understated potato creation, exhibit a restrained food sensibility. Raclette is another creative national dish that highlights Switzerland's unique dairy output like Gruyere and Emmental cheeses. Small grills are used to heat meat and vegetables, before adorning them with the rich melted Swiss cheeses. German influence is on display in regions that showcase unique Swiss sausages and dishes like Pizokel and cabbage. Fine dining is popular in Switzerland, with concentrations of Michelin stars in cities like Zurich, Geneva and Lausanne. For culinary arts students, the heightened food awareness translates into educational opportunities. Culinary training incorporates exposure to German, French, and Italian cuisine, while recognizing Switzerland's unique gastronomic development. Anything made in Switzerland comes with a perception that it is of high quality. This may be anecdotal, but products exported from the country have a “Swiss-made” reputation: Victorinox, TAG Heuer, and Rolex watches. Swiss attention to culinary detail is no different, and one word sums it up - chocolate. Chocolate production in Switzerland is an integral part of the country's food culture. Makers like Lindt and Tobler have roots going back to the 19th century. Breakthroughs in chocolate handling and the invention of milk chocolate cemented the nation's association with the decadent export. Chocolatier training is available at the source of chocolate innovation, and through online instruction originating from Switzerland. Ecole Chocolat is a chocolate educator with a repertoire of programs that builds chocolatiers from the ground up, or supplements your working knowledge with advanced instruction from masters. Online instruction bridges the oceanic gap for dedicated domestic chocolate producers who are unable to visit the beautiful campus. 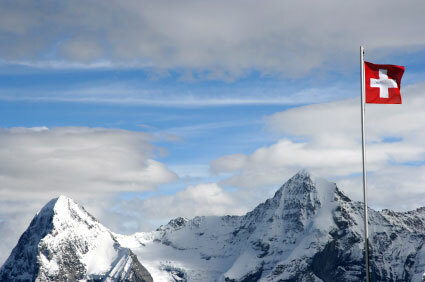 Switzerland is a thriving travel destination. Ski resorts are abundant, but Switzerland is also a gateway to major European countries, providing easy access to France, Italy and Germany. Zurich, Geneva, and Berne are established business and banking centers that draw legions of corporate travelers. Science and technology are thriving industries that lure international travelers, and help shape the country's eclectic culinary culture. Luxury hotels, in major metro areas, provide fertile grounds for culinary employment. Distinguished restaurants and their attendant chefs draw acclaim in larger cities like Geneva, Basel, and Berne. Quaint eateries, off the beaten path, are worthy of exploration for culinary students seeking to add a dose of Swiss inventiveness to their culinary bags of tricks. Some of Switzerland's best chefs helm the kitchens in restaurants found outside the most heavily trafficked areas. Chef Phillippe Rochat - one of Switzerland's finest - runs the Crissier kitchen in a much smaller suburb of the otherwise bustling Lausanne. International Culinary Management Institute – Luzern – The Institute recognizes the complex configuration of modern hospitality employment structures. The Higher Diploma offered by the school teaches Western gastronomy, international patisserie, food-cost control, purchasing and food and beverage management principles. For working chefs, the program serves to expand understanding of European food traditions and practices. The BA Honours Degree enhances diploma training with business training that is required for successful hospitality management on an entrepreneurial or upper-management level. Culinary Arts Academy Switzerland – Le Bouveret is affiliated with Cesar Ritz Colleges. This popular chef school graduates creative and free-thinking chefs who are schooled in traditional and progressive world cuisine. CAA believes this lays the foundation for solid gastronomic innovation, and upward mobility in the kitchen. Programs: Advanced Certificate Culinary Arts and Swiss Higher Diploma Culinary Arts. Les Roches International School of Hotel Management – Bluche – International tourism and hospitality careers encompass a broad range of specific employment opportunities. Within the kitchen, professional chefs act as managers, in much the way other industry professionals manage staffers in front of the house operations. Advanced training at Les Roches serves individuals who need business training to further their career goals. A Bachelor's Degree in International Hotel Management provides such training, and paired with Culinary Arts schooling, contributes to a resume of unlimited mobility potential. For working chefs, the school offers a one-year post graduate business degree in Culinary Business Management. The program assumes proficiency in the kitchen, then provides the business fundamentals to bolster a culinary professional's business management abilities. Les Roches' MBA in hospitality provides a Master's level business education that addresses the specific marketing, cost-control and budgeting concerns of the hotel and restaurant sector.